Flames broke out in a housing unit on the seventh floor of the 13-story building. 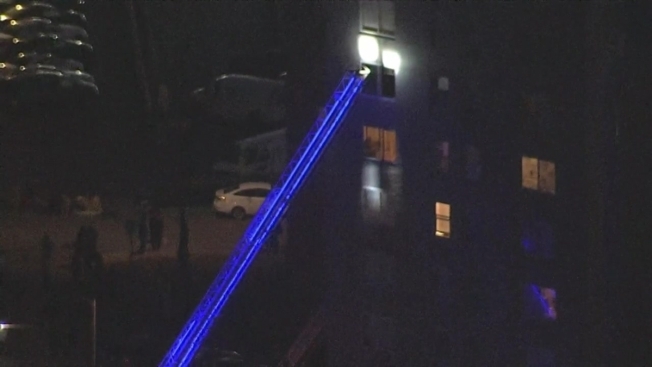 Three people were rescued from a two-alarm building fire in San Francisco early Friday, but a cat is still missing, officials said. The city's Fire Department spokesman tweeted just before 6 a.m. that people should avoid the area of 125 Cambon Drive in Parkmerced. Officials said one person was severely hurt, while two others were moderately wounded. One of the people with less severe injuries was treated at the scene and released. The fire department evacuated the sixth, seventh and eighth floors of the building, and the rest of the building was asked to shelter in place. Residents have since been allowed to return home, except for those who live in the unit where the fire sparked. The blaze has been doused, but its cause remains under investigation.